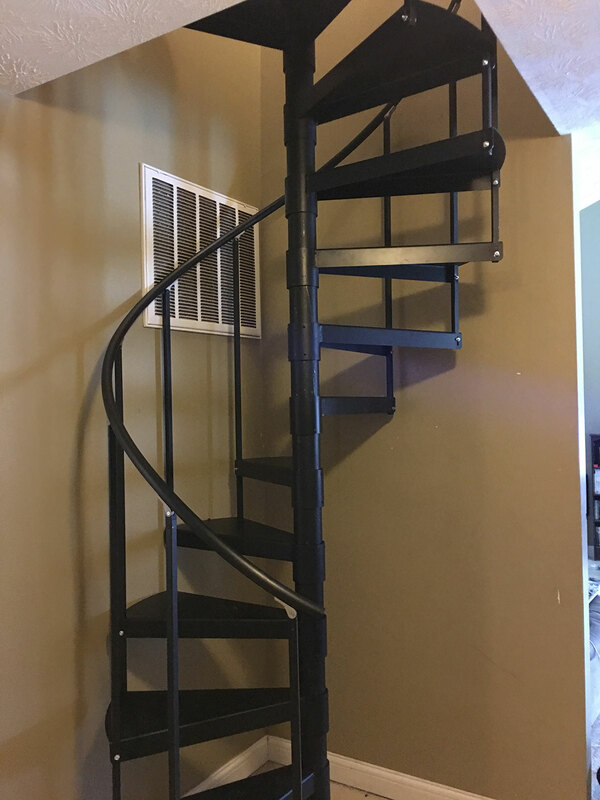 Includes 3/4″ Square main vertical spindles and an 1 1/4″ Black Vinyl Handrail. 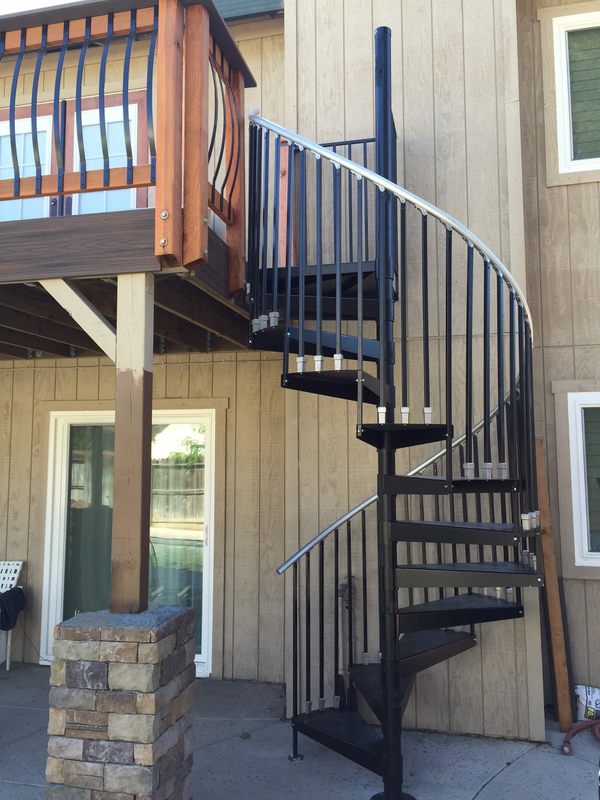 Includes triple in-between spindles and an 1 1/4″ Aluminum Handrail. 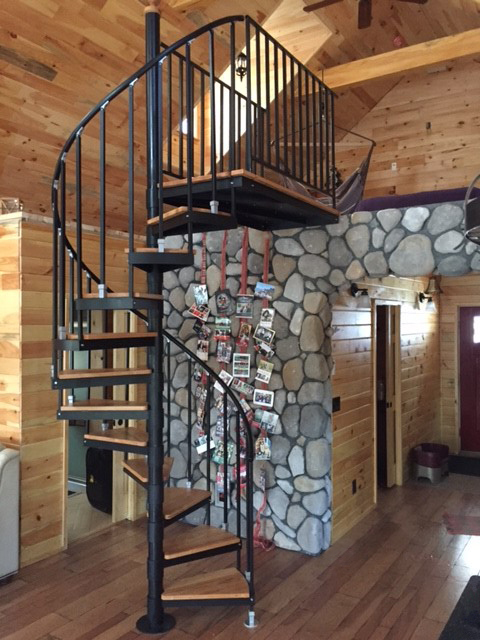 Includes triple in-between spindles and an 1 1/4″ Aluminum Handrail with optional Red Oak tread coverings. 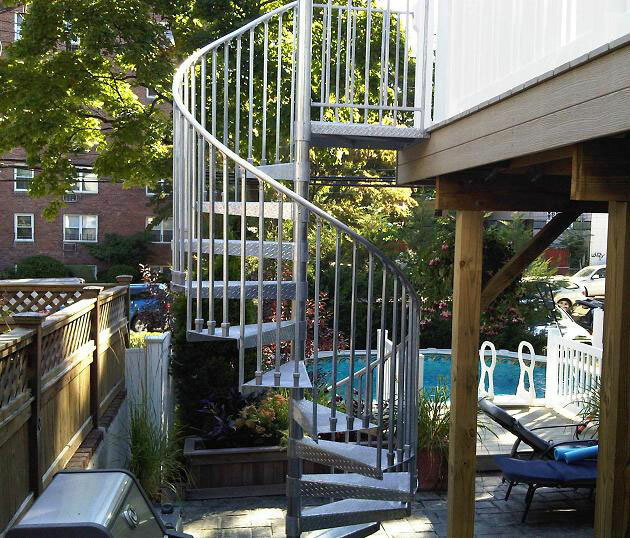 Includes triple in-between spindles and an 1 1/4″ Aluminum Handrail with optional Diamond Plate treads. 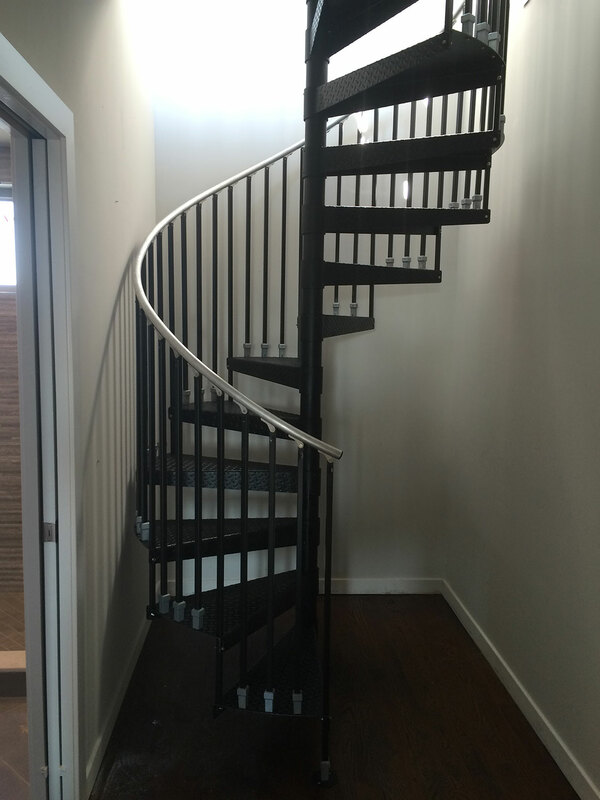 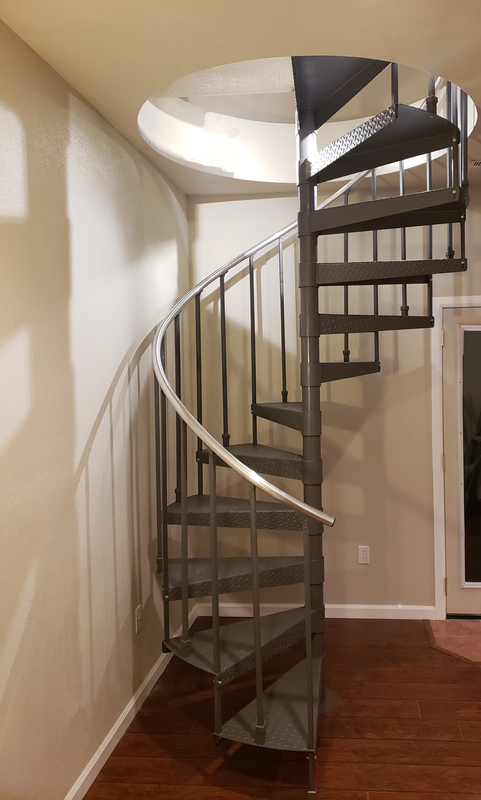 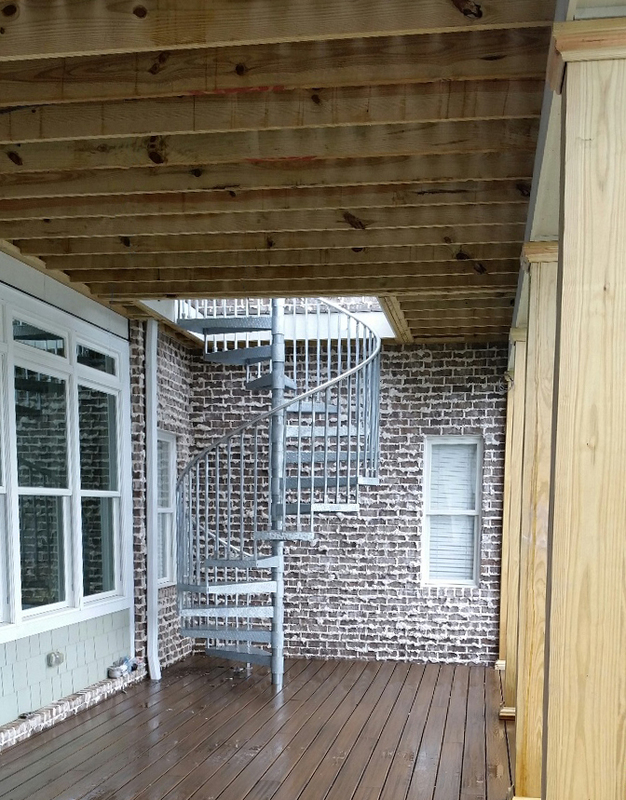 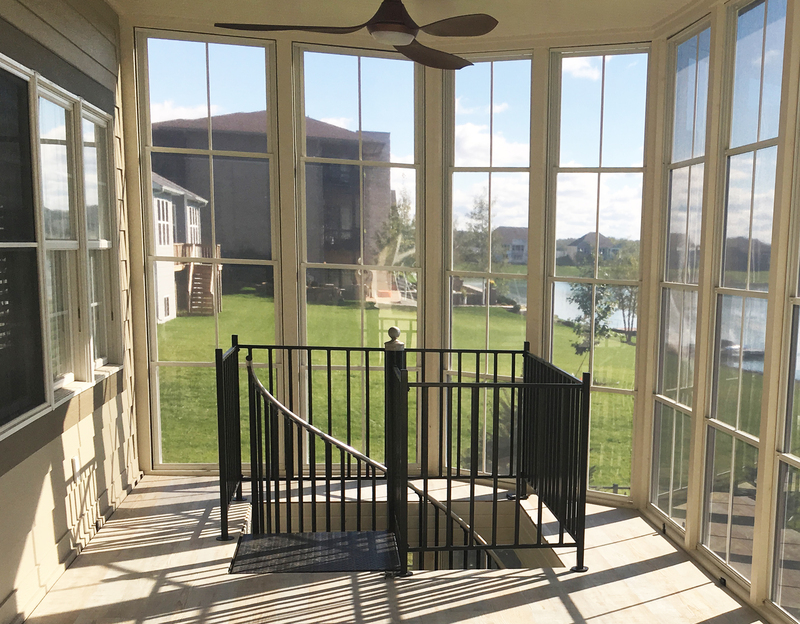 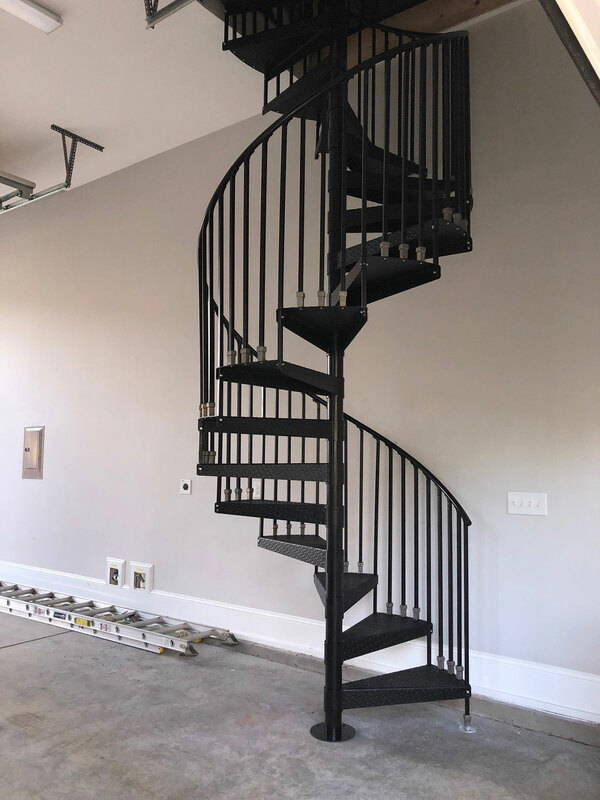 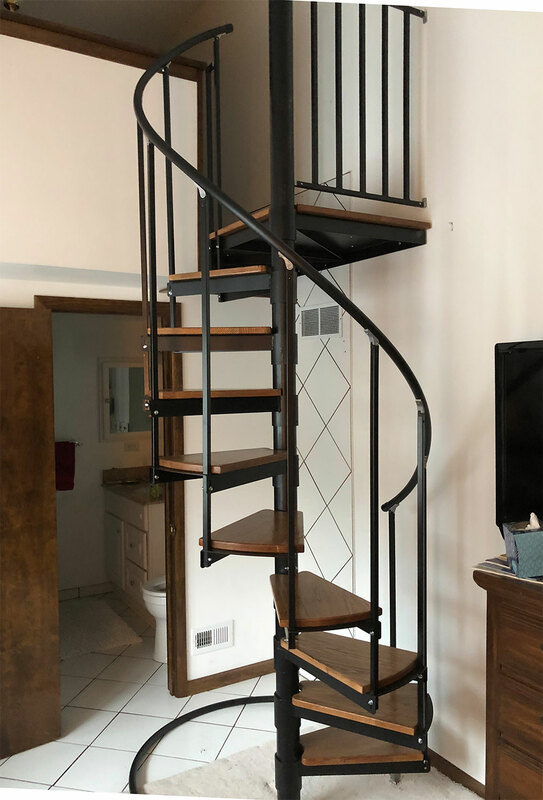 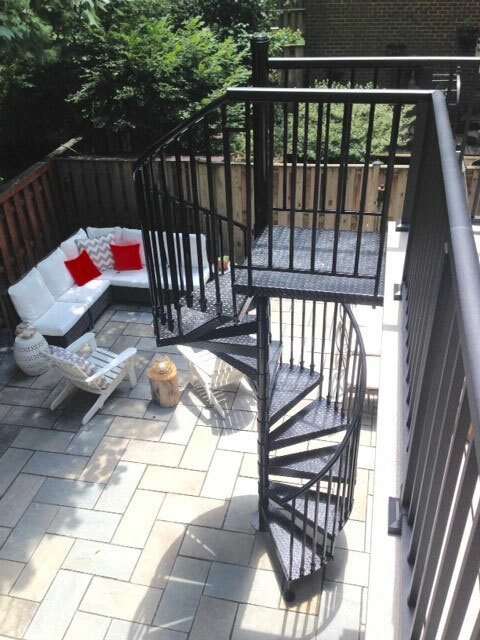 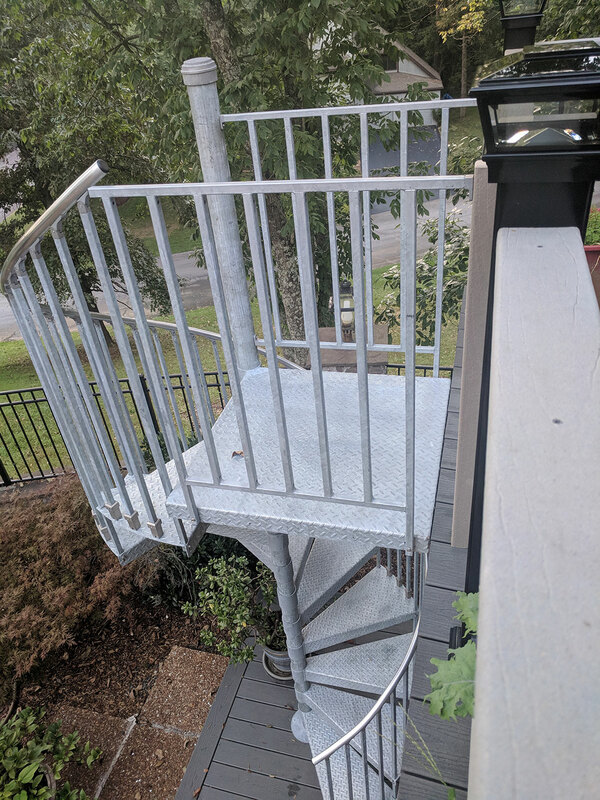 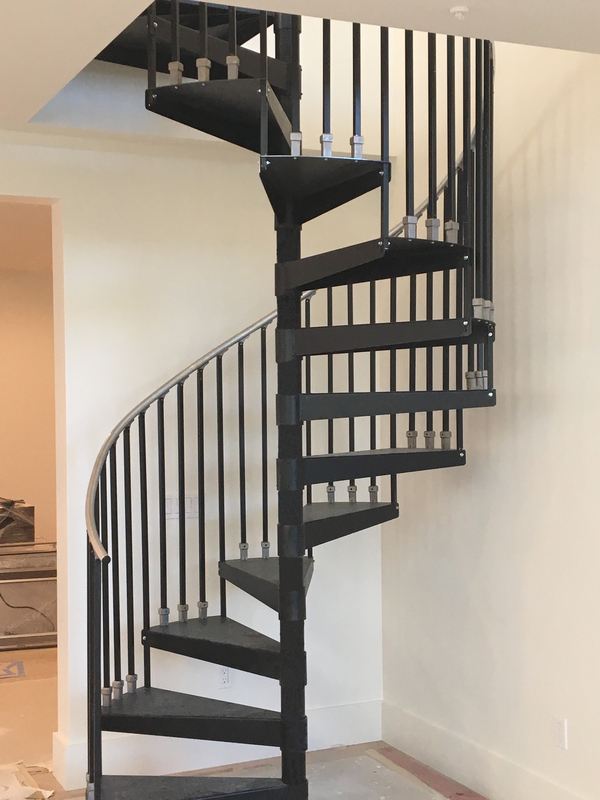 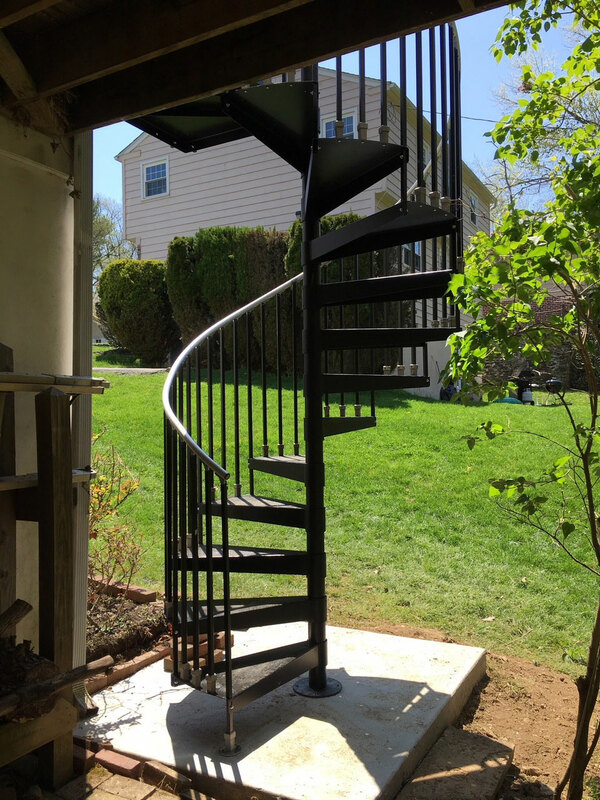 Includes triple in-between spindles and an 1 1/4″ Aluminum Handrail with optional Balcony Rail and Hot Dipped Galvanized finish with Diamond Plate treads. 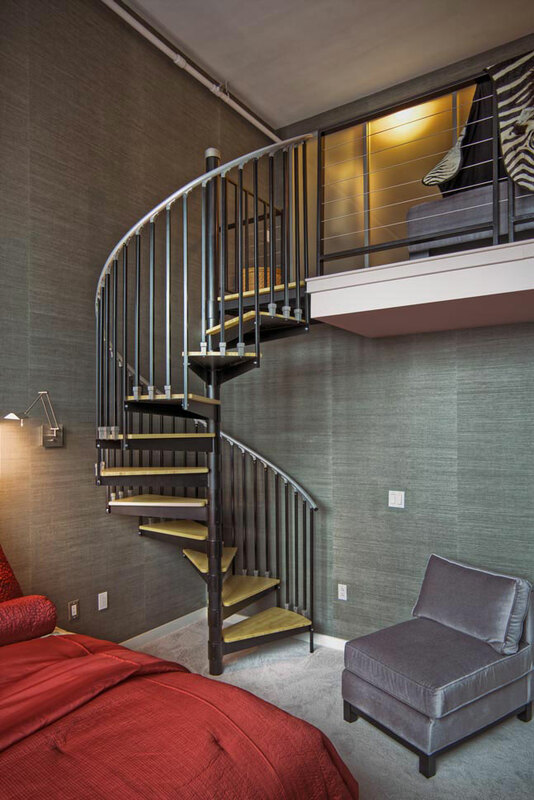 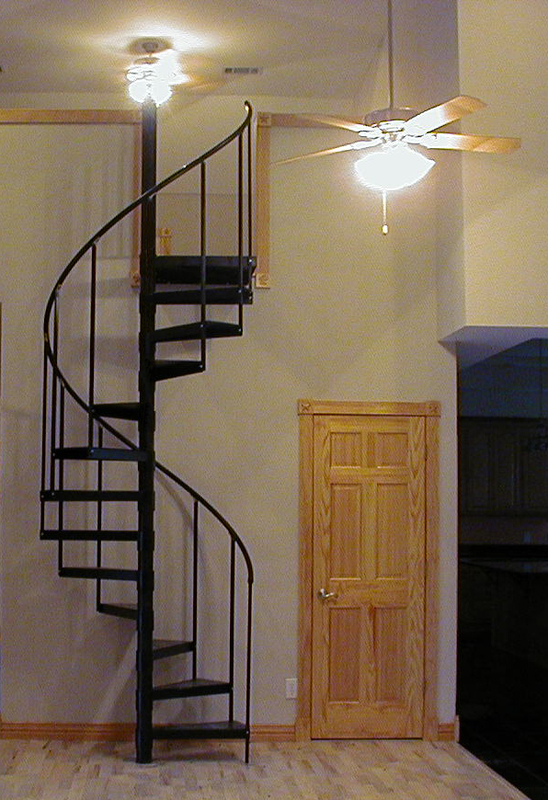 Includes triple in-between spindles, 1 1/4″ Round Aluminum tube handrail and comes standard with a Black Primer finish. 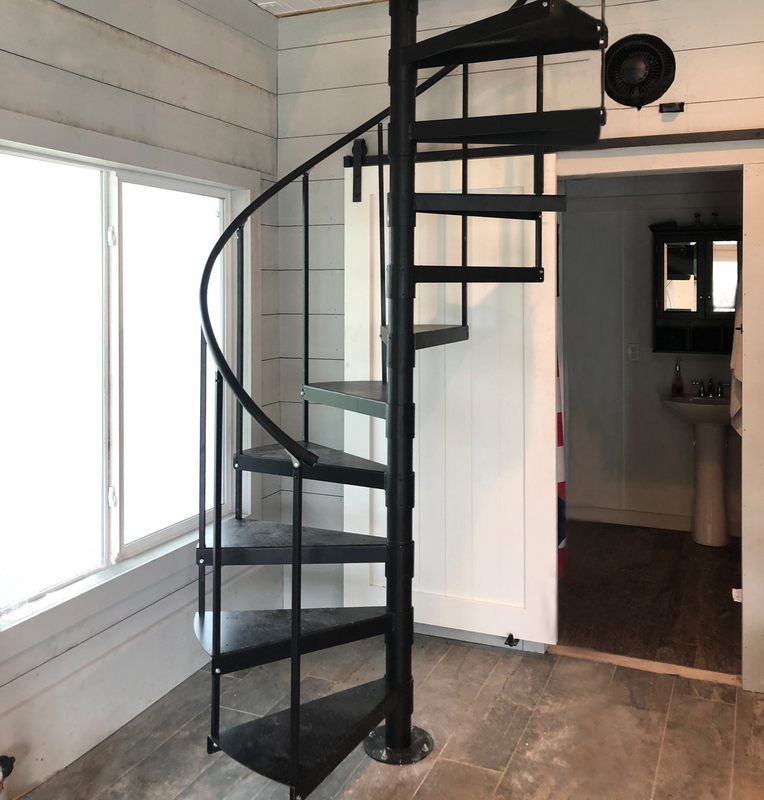 Includes 3/4″ Square main vertical spindles and an 1 1/4″ Black Vinyl Handrail. 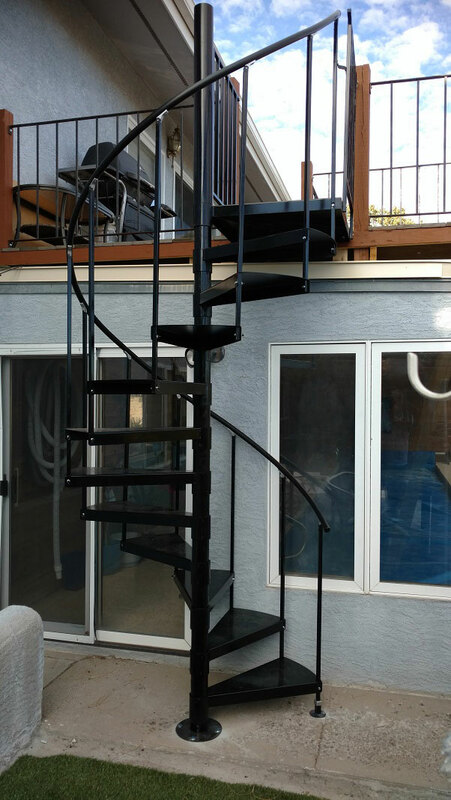 Comes standard with a Black Primer finish. 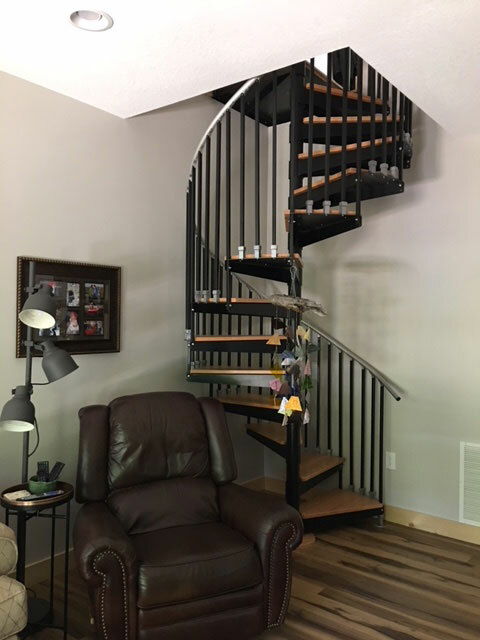 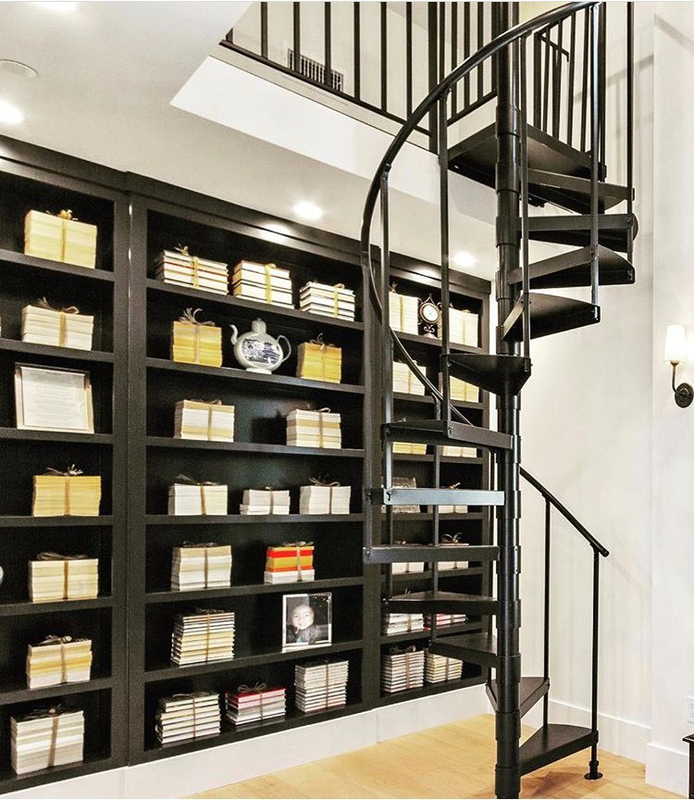 Includes 3/4″ Square main vertical spindles and an 1 1/4″ Black Vinyl Handrail with optional Red Oak tread coverings, Single In-Between Spindles & Custom top landing. 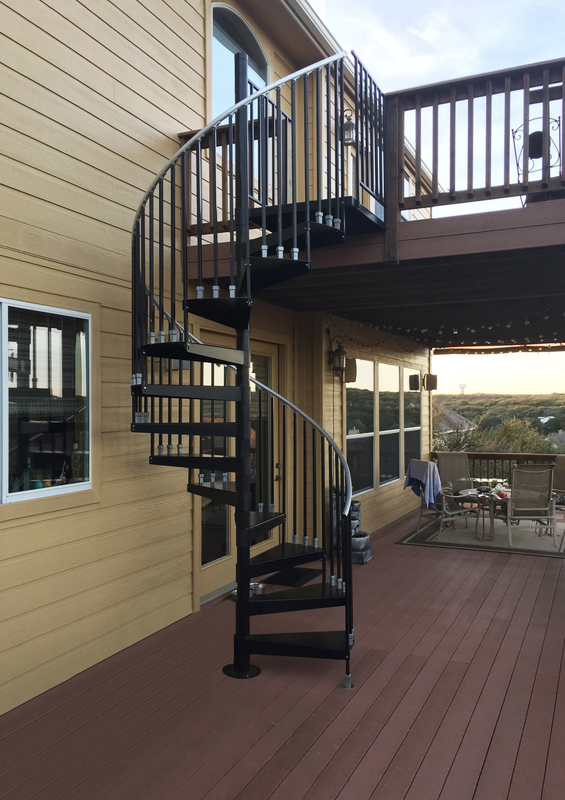 Includes triple in-between spindles and an 1 1/4″ Aluminum Handrail with optional Hot Dipped Galvanized finish and Diamond Plate treads.